Take your essentials on the go with ease, thanks to this hands free zip waist pack by TCD Fit. 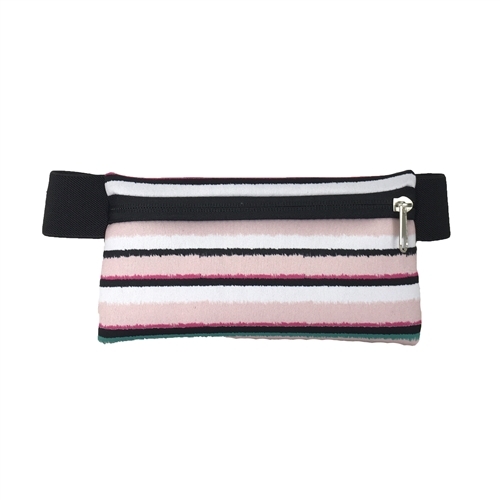 Neoprene active fit waist pack in mulit colored stripes. Keep your essentials safe while you work out. 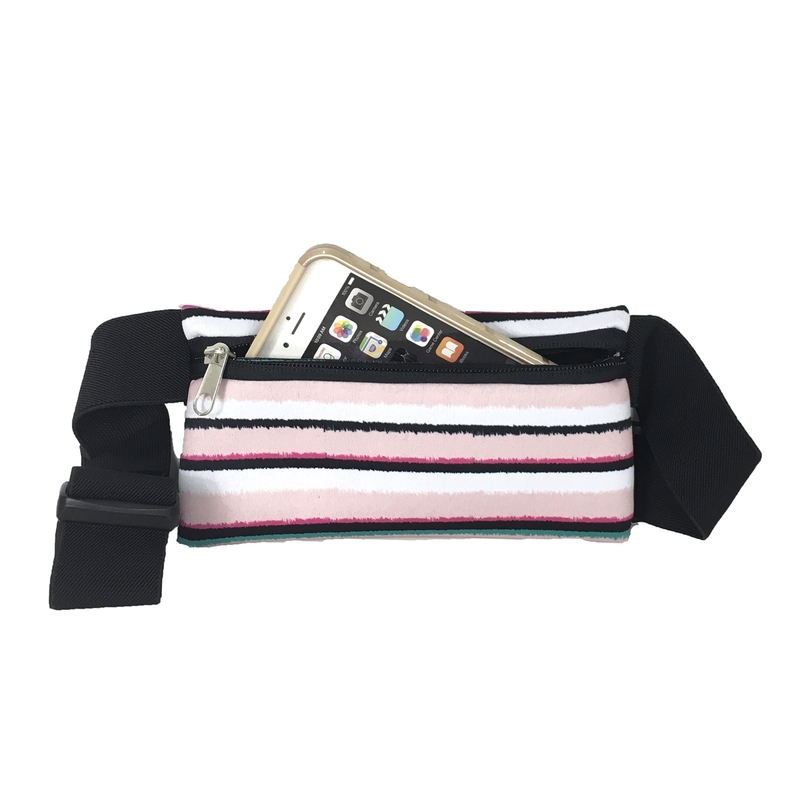 Zip comparment holds your phone, cards, keys & earbuds. Adjustable waisband for comfortable fit.